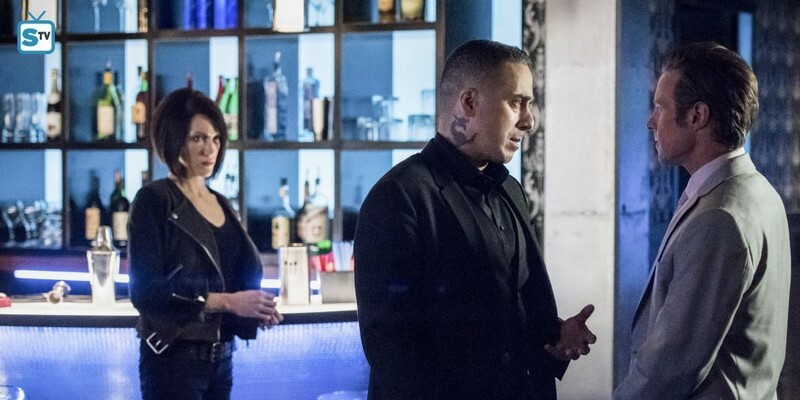 Looking to expand his empire, Diaz (guest star Kirk Acevedo) and Laurel (Katie Cassidy) meet with The Quadrant, a coalition of mafia families who run national organized crime. Meanwhile, after Oliver’s (Stephen Amell) recent decision, Felicity (Emily Bett Rickards) and Curtis (Echo Kellum) double their efforts on building Helix Dynamics. Gordon Verheul directed the episode written by Spiro Skentzos & Elizabeth Kim (#619).